What can I tell you, I like clouds. A close up on one catching the last light. Though the days are getting a bit longer the sun is still low. Often clouds seem to be the only ones enjoying the sunshine. I have a number of 30″x24″ panels primed for painting, I love working at this scale. Large enough that you have a sense of freedom moving around the surface but not so large that it is awkward in the studio. I did have to stand on a chair to get far enough away for a photo, so a little awkward! I am pretty obsessed with brooding epic scenes. I keep getting wound up about new ideas but I realize this is a common thread. This is the second painting on a theme! I have plans to make some really large works in this series. For now I must focus on my upcoming shows! Not sure if these will be included or not?!? Decisions still to be made! 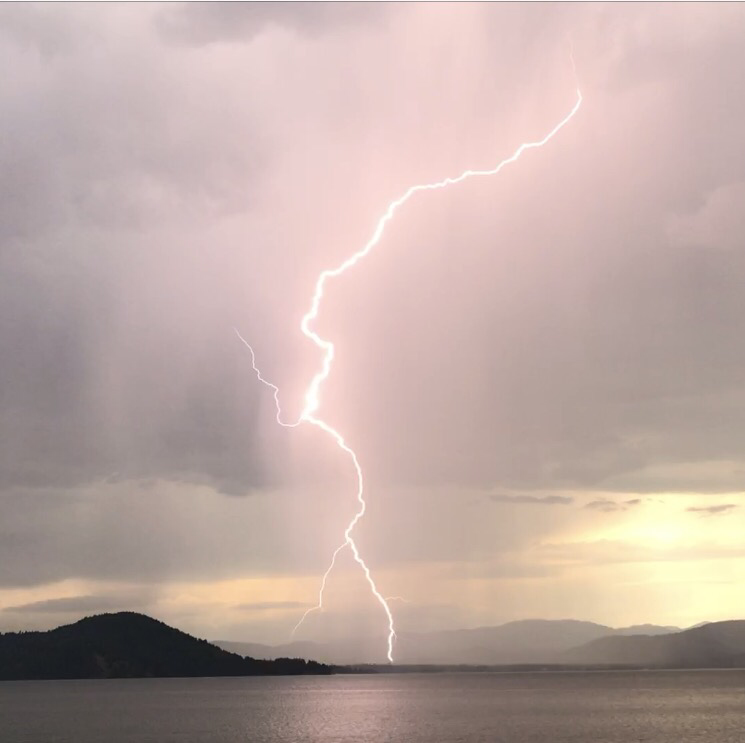 Exciting electric display this evening in North Idaho! Welcome spring! Here are some small paintings I did in the first half of March. These are all 10″x10″ acrylic paintings on plexiglass. I am looking forward to the longer days and much more sunshine!